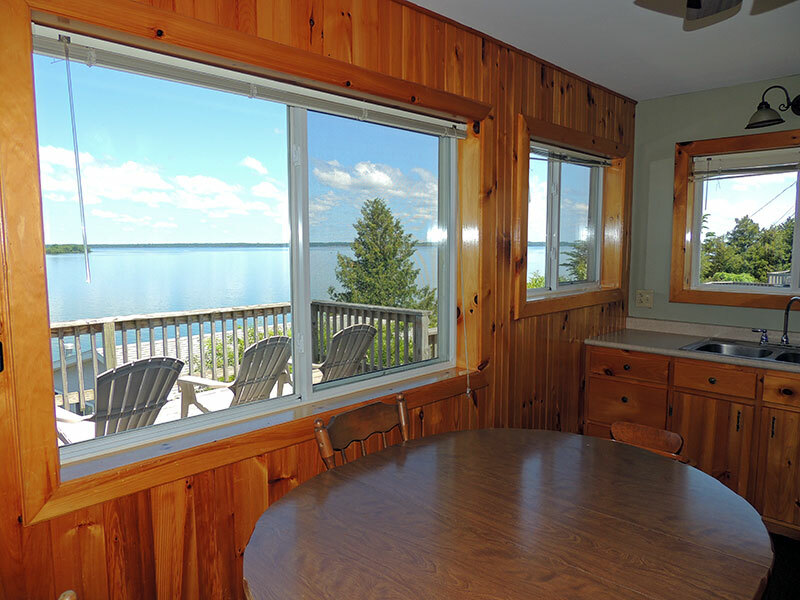 This custom built cottage features large windows, bringing in a nice amount of natural light. 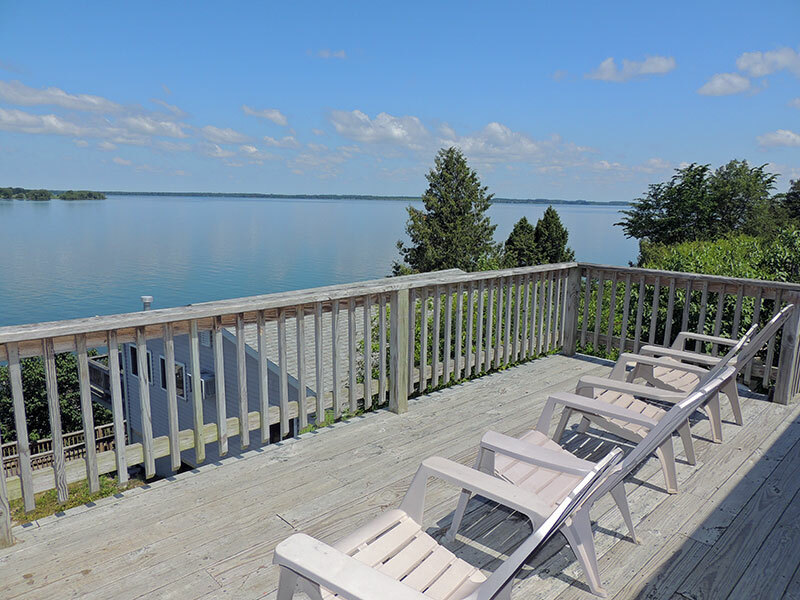 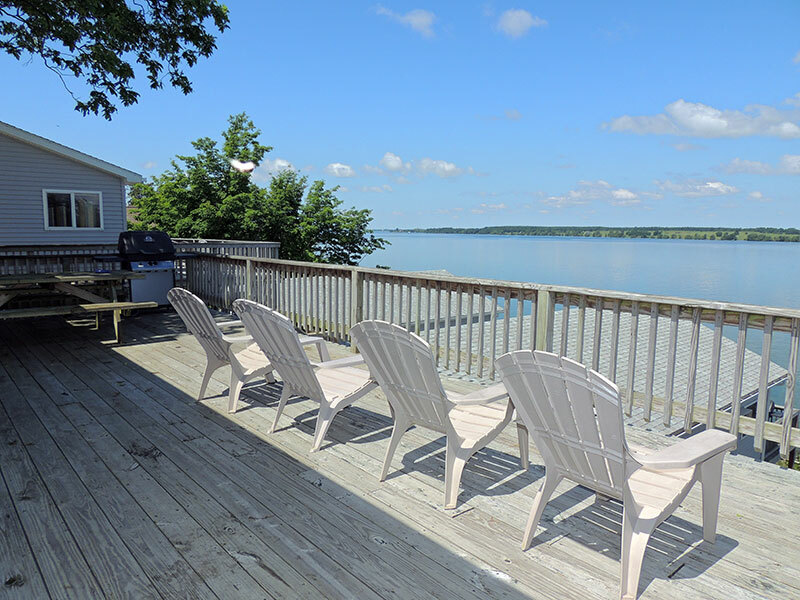 Magnificent water views can be enjoyed from the kitchen and living area as well as the 30 foot deck spanning the front of the cottage. A picnic table, outdoor gas grill, and Adirondack style chairs add comfort and convenience to your deck. 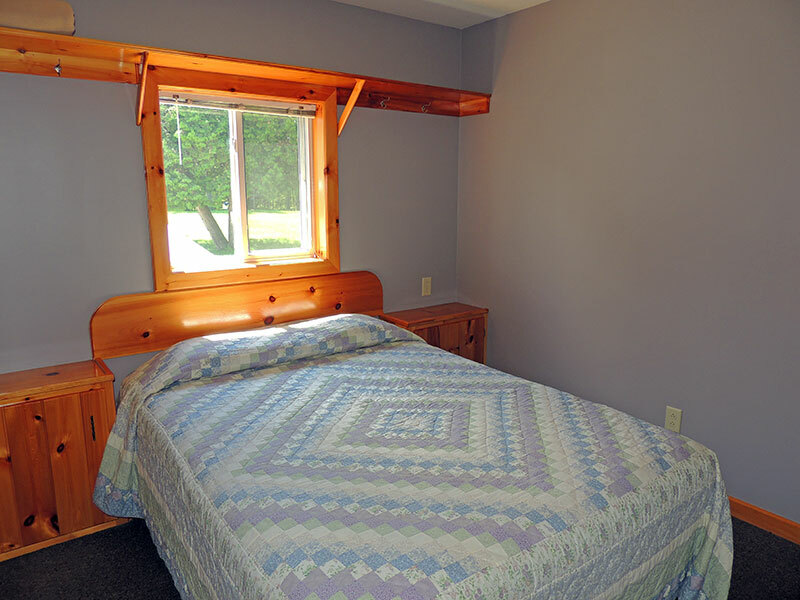 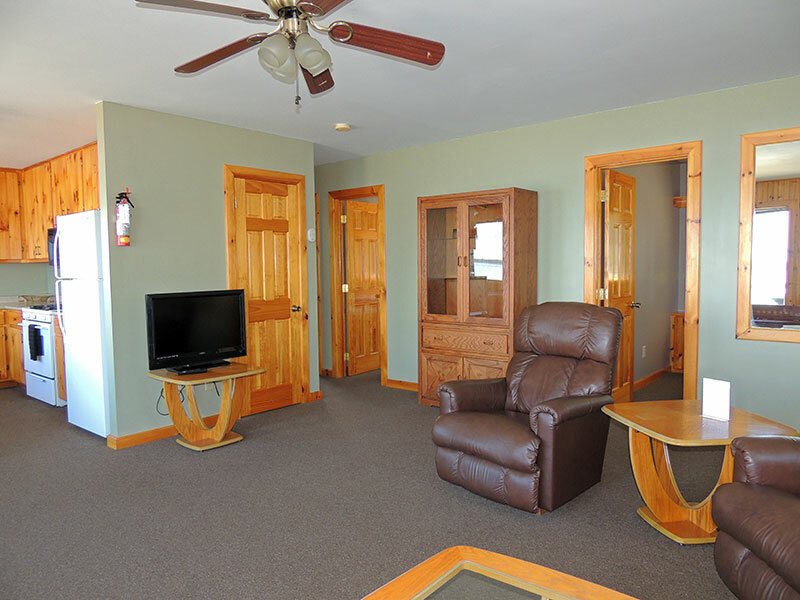 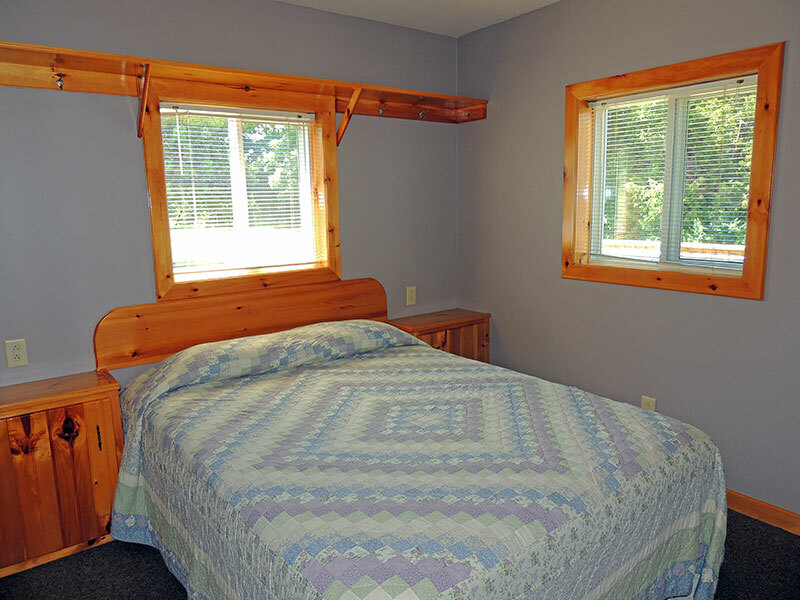 The cottage has three bedrooms all with queen size beds, ceiling fans and storage cabinets for your belongings. 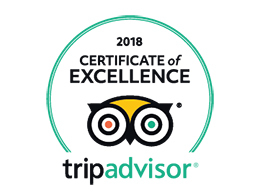 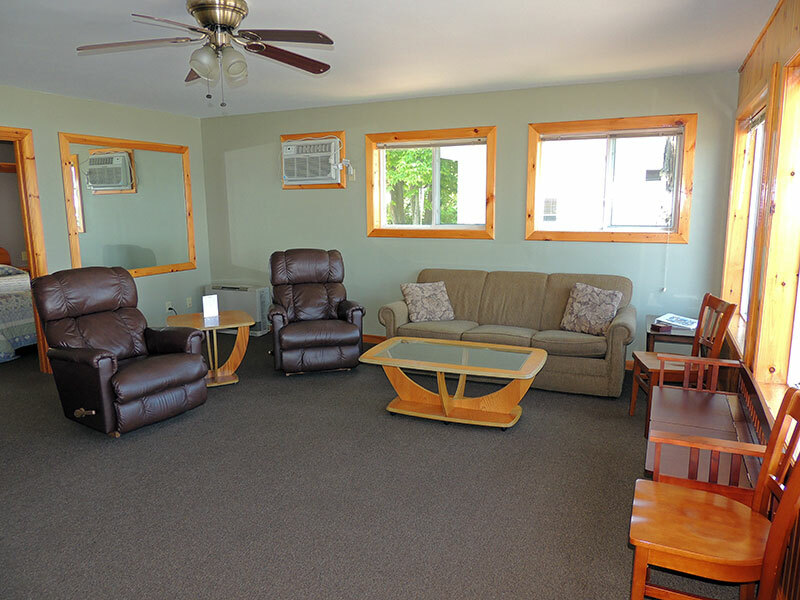 It’s fully equipped with a refrigerator, stove, coffee maker, microwave oven, dishes, pots and pans, etc., TV with cable service, wireless internet access, custom kitchen cabinet, air conditioning, heat, comfortable recliners and a queen sleeper sofa. 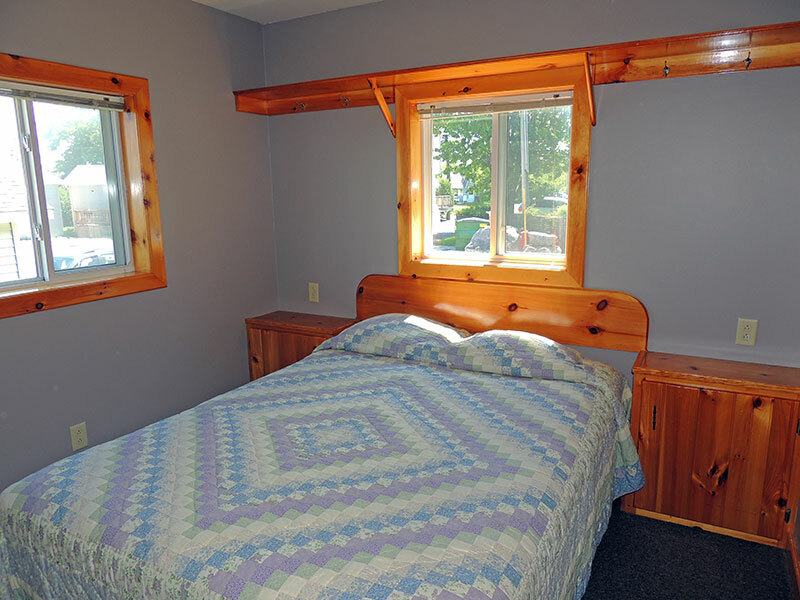 This cottage is situated on the crest of our hillside beside its twin, cottage #11. 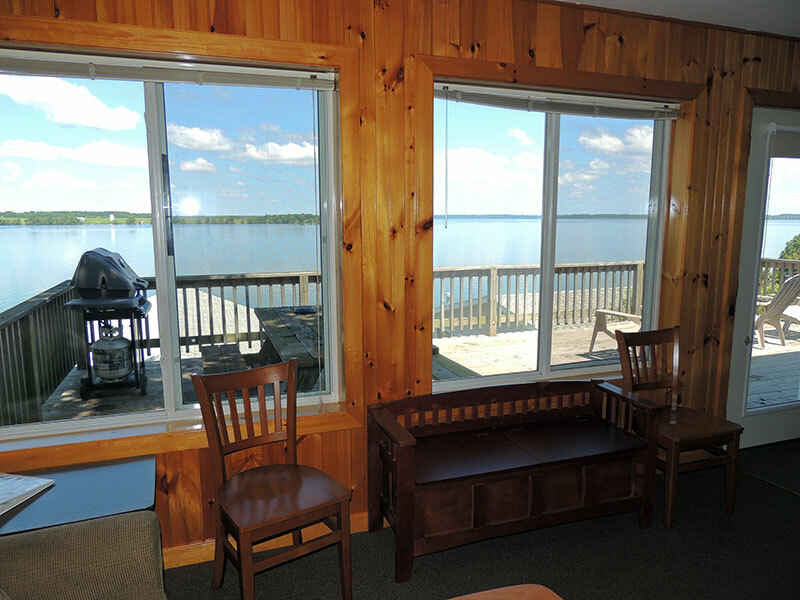 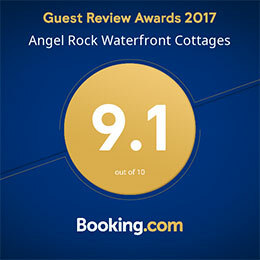 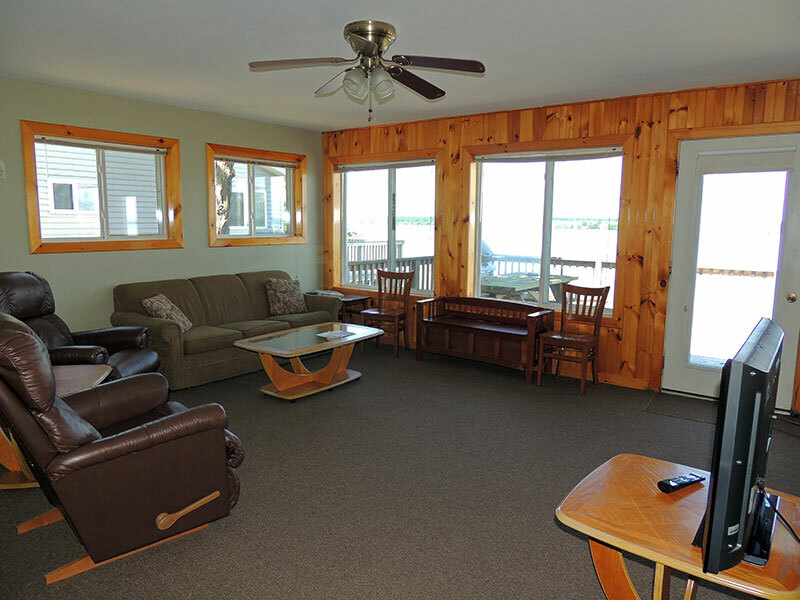 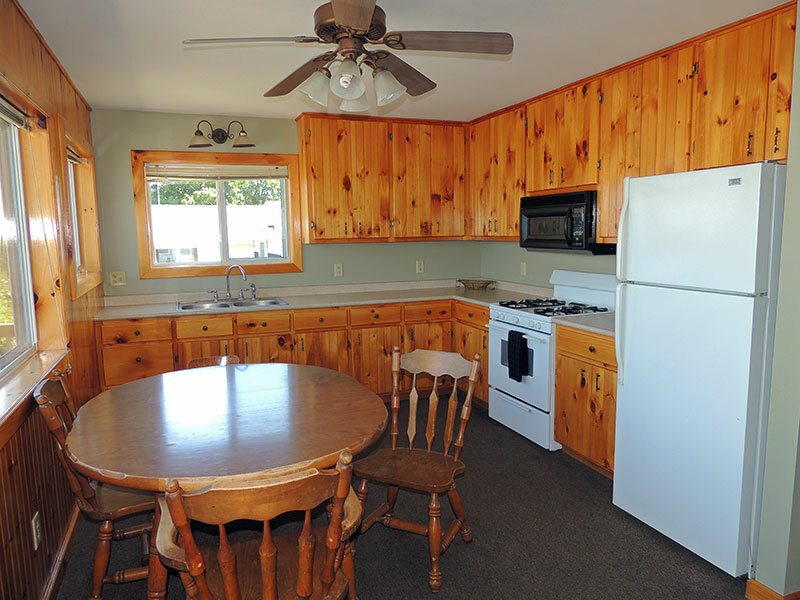 This cottage is one of our comfortable winterized cottages which are open for rental on a year round basis. 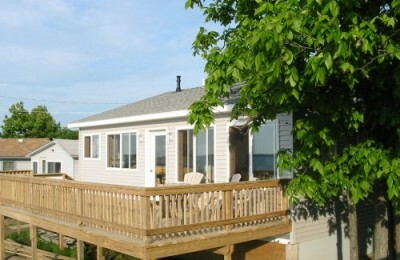 It is best suited for 6 people, accommodating a maximum of 8 people.